20 questions for students to ask each other regarding chores and what they have to do around the house. Students ask the question orally and write down the names of their classmates according to their responses. 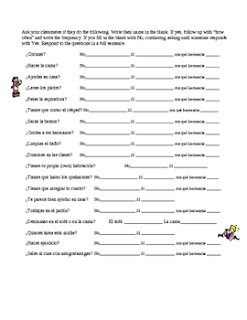 Great way to get the students speaking Spanish!